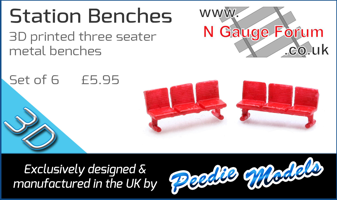 carlwooduk, Atso, mdt320, JohnBS, EtchedPixels and 1 Guest are viewing this topic. Lovely work Steve. Really crisp and neat banding. 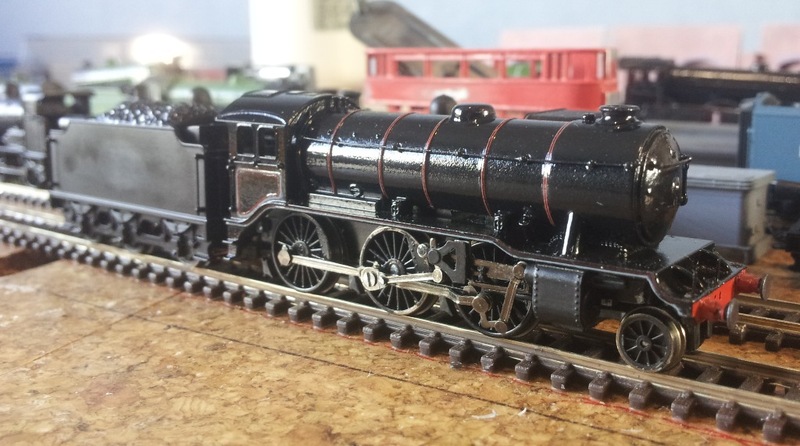 Good to see an update from you, those locos are looking superb - top work! As promised some slightly better pictures. 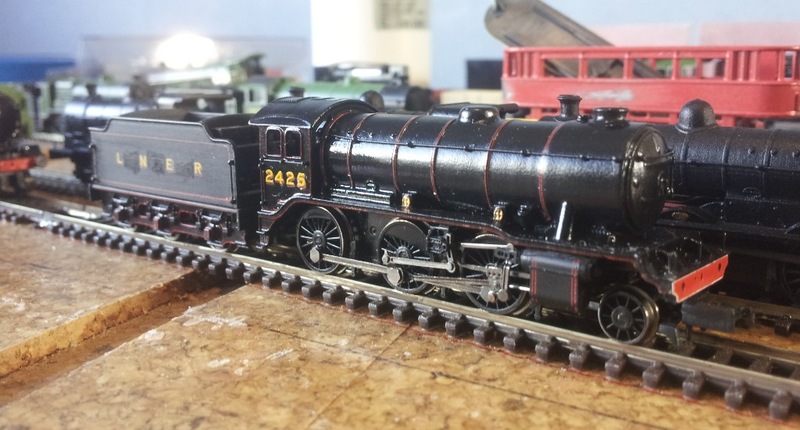 2425 is towing the original 3D printed tender (V2 tender frames) from my prototype K3 model while the BR version is paired with a Farish J39 tender drive which has now had it's early crest removed pending lining out and later crest being added. 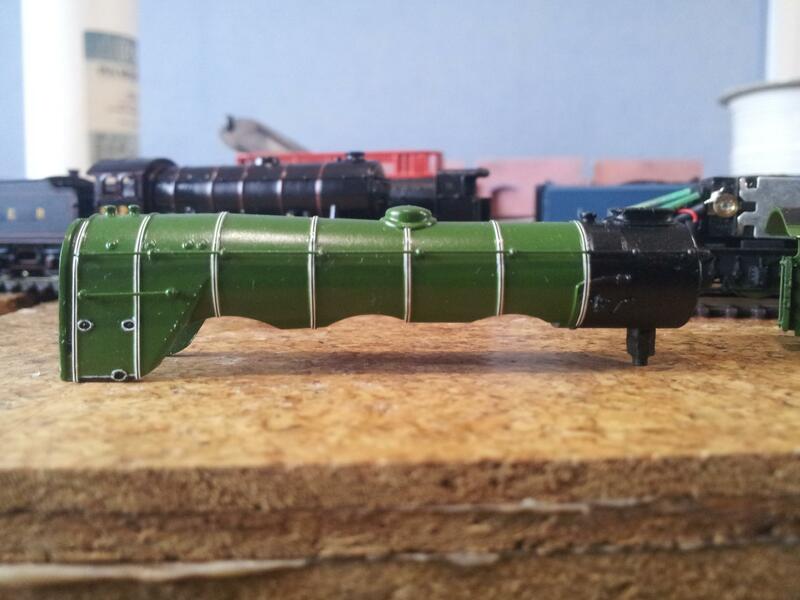 There is still a slight of hand here as the BR K3 still needs the last bits of boiler band adding to the other side of the loco. I'm still not sure of the identity of this one and I've still got a couple of areas to fill in and/or tidy up on the cab and valance lining. 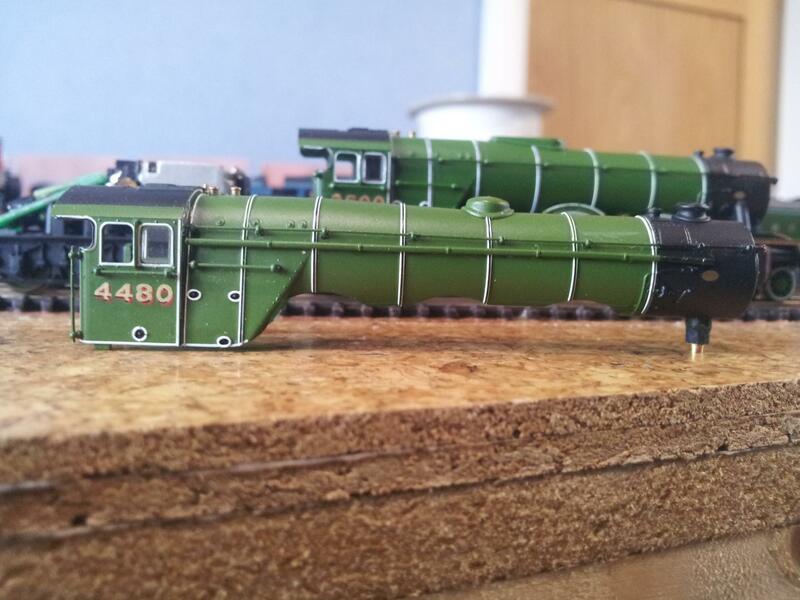 The BR D49 is lagging behind a bit as I suddenly realised that I hadn't lined out the splashers on one side! 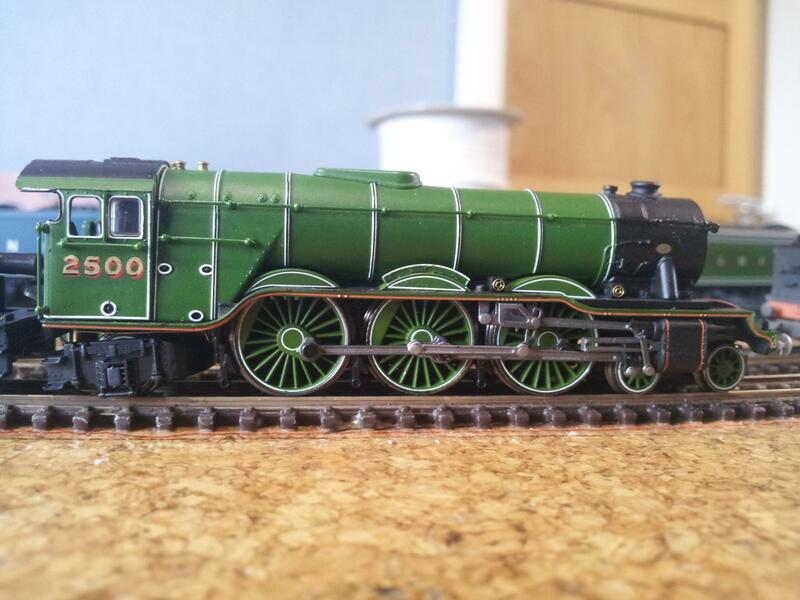 This has now been corrected and boiler bands will be added once the paint is dry. Paul, from you that is high praise indeed! Why aren't you allowed to work on your locomotives at the moment? Have you upset the DO? A man spends the majority of his life looking for the ideal woman - in the meantime he marries. I stuck my first one for 25 years then got out, found a real good one within 18 months, unfortunately cancer took her 9 years ago. Haven't bothered looking since. When i met my future wife I had just returned from running factories in Hong Kong and all my worldly goods were in a container on a slow boat following me. When she met my mother she said, coming form a family of collectors, that she was very worried that I did not have any hobbies. My mother replied "Just you wait"
I'm saying this through gritted teeth but brilliant work there. I think the Domestic Overlord would like a model of enterprise as he is a bit of a Star Trek freak, err sorry I mean fan. I've had a secret wanting for one of these locomotives too and I believe one was called "Columbo" who in my mind is the best detective ever? Thanks Paul. Nowt wrong with being a Star Trek 'freak'. The A3 you're thinking about is 2501 Colombo which is as close to 'Columbo' as you're likely to get. Yes, I'm seriously tempted by this when funds improve!